Rental property accounting is the only sure way to know if your rental property is raking in cash or bleeding money. Learn how to do it correctly here. Rental property accounting also plays a big part in helping you choose the right rental property. We shall reveal which are the formulas that are important for determining a property's profitability and show you how to use them to your advantage. Some landlords tend to avoid accounting for leases because they are put off by the numbers. But even if you leave the accounting to your agent or accountant, you'll still need to be able to understand their accounting statements at the end of day. Do you know how much money is flowing in and out of your rental property? 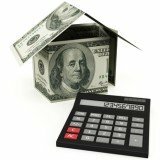 Learn what are your rental income and expenses and how to calculate your rental cash flow here. Rental yields are the most popular way for investors to analyze and compare profitability between different rental properties. Learn what is the difference between gross vs net rental yields and how to use them correctly. When it comes to choosing and buying rental properties, many experienced investors also rely on cash on cash returns because it gives them an in-depth look at a property's finances. 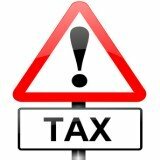 Calculating the depreciation of rental property is an essential part of landlord accounting. Learn how to do it today with our step by step example. LandlordMax property management software offers a quick and simple way to track your rental cash flow. If your bills are overdue or your tenants are late with rent payments, this program will automatically highlight these issues to you. What makes LandlordMax stand out from other landlord accounting software is the way it is able to balance both features and ease of use. If you're looking for a program that offers powerful features while being simple enough for a beginner, then we highly recommend LandlordMax to handle your accounting for leases. 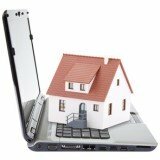 Click here for our complete review of LandlordMax Property Management Software.